I meet many young physicists who have worked and are working on group contractions. They seem to know my name, but they become totally surprised when I tell them I am also a group contractionist. They seem to know Eugene Wigner has something to do with group contractions. They also know that Erdal Inonu wrote a paper with Wigner on this subject in 1953. 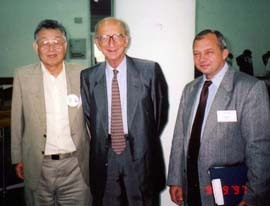 In order to make a long story short, let me show my photos with these two distinguished gentlemen. 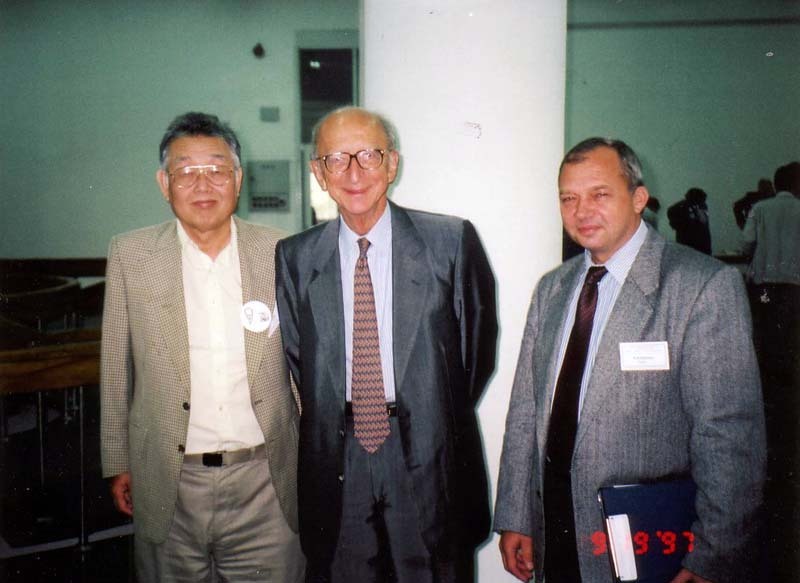 with Inonu (1997). The other gentleman in the photo is Nikolaj Gromov from Russia. He now holds the world championship on group contractions. 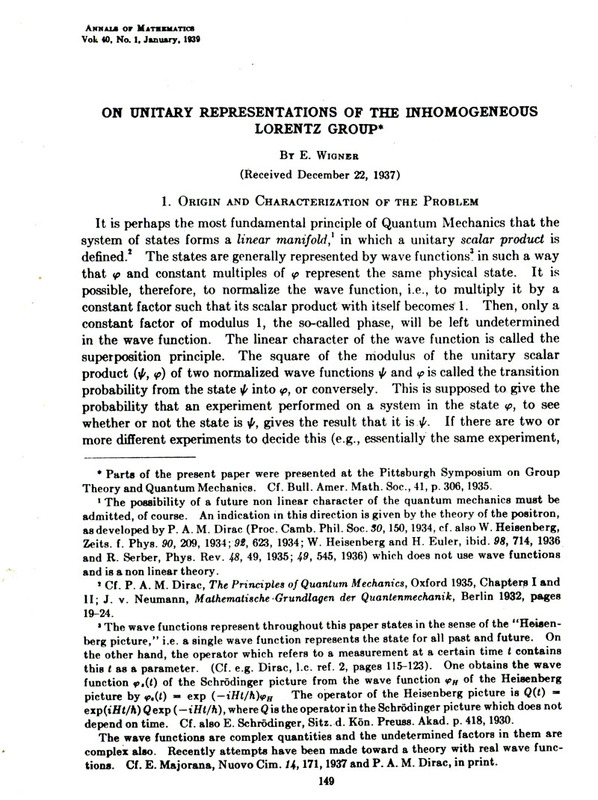 In his 1939 paper on the inhomogeneous Lorentz group [An. Math. 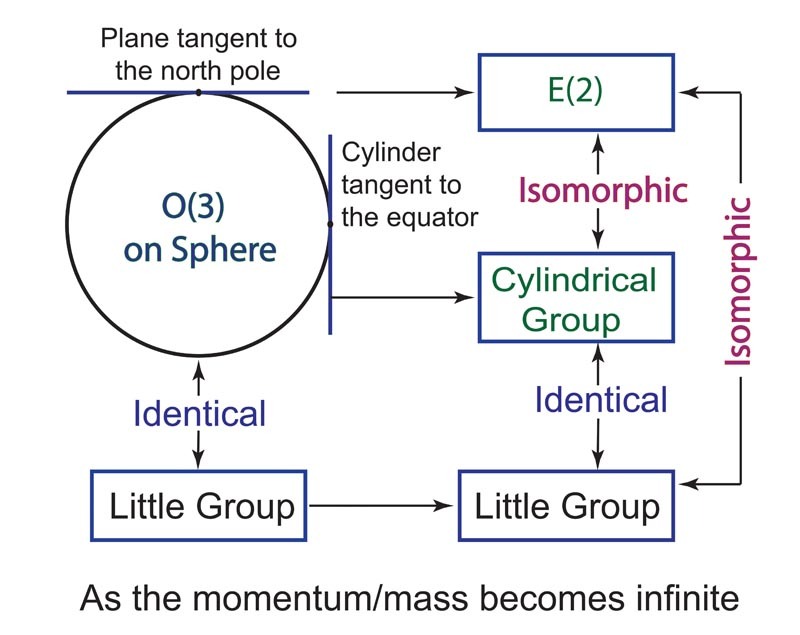 40, 149], Wigner showed that the internal space-time symmetries of massive and massless particles are isomorphic to O(3) (three-dimensional rotation group) and E(2) (two-dimensional Euclidean group) respectively. They are known as Wigner's little groups. The O(3)-like symmetry for a massive particle corresponds to the spin of the particle. As for the E(2)-like symmetry for a massless particle, it is not difficult to associate the rotational degree of freedom to the helicity. After some stormy history, it has been now established that the two translational degrees of freedom of E(2) correspond to the gauge degree of freedom. In their 1953 paper [Proc. Nat. Aca. Sci. 39, 510], Inonu and Wigner showed that O(3) can be contracted to E(2) by a north-pole approximation, or by considering a flat-surface tangent to the north pole of the earth. Then the following question arises. Can the E(2)-like little group for massless particles be obtained from the O(3)-like little group by a group contraction procedure. The answer to this question is YES. 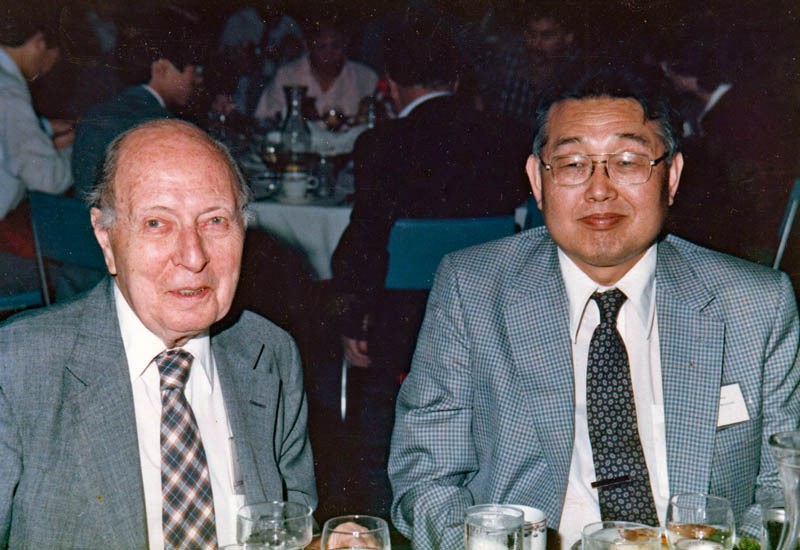 Y. S. Kim and E. P. Wigner, "Cylindrical group and massless particles," J. Math. Phys. Vol. 28, pages 1175-1179 (1987). 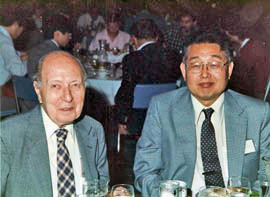 Y. S. Kim and E. P. Wigner, "Space-time geometry of relativistic particles," J. Math. Phys. Vol. 31, pages 55-60 (1990). Click here for the paper. Inonu's review paper given at the Workshop on Quantum Groups, Deformations and Contractions (Istanbul, Turkey, 1997). Kim's paper presented at the same Workshop after Inonu's talk. The following figure summarizes how the E(2)-like little group can be obtaind from the O(3)-like little group by group contraction or the high-energy limit. This figure is from the above-mentioned 1987 paper by Kim and Wigner. Often you see the following table from my conference talks and published papers. The following table tells what physical role the group contraction plays in unifying the symmetries of massive and massless particles.